In his commencement speech at West Point on Wednesday, President Obama addressed much of the criticism that has been thrown his way recently regarding his inability to project American dominance on the rest of the world in the same way his predecessors have done before him. 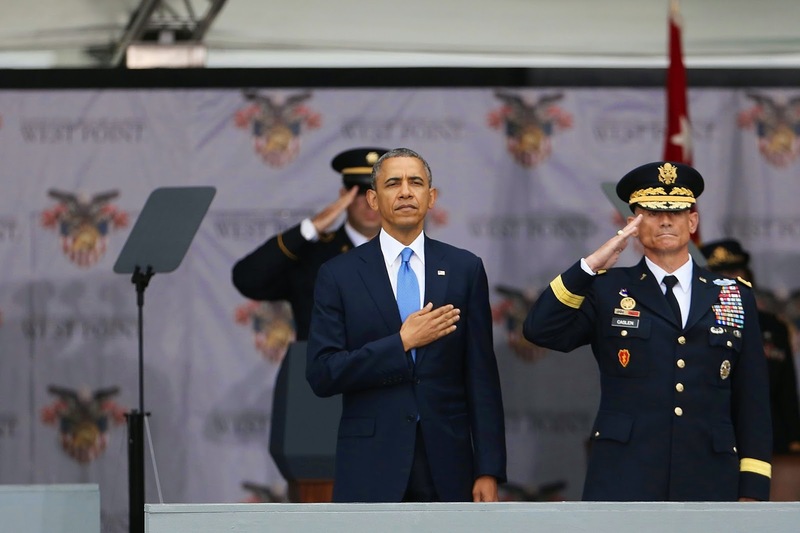 Most people would agree that Obama has been leery of armed conflict since taking office in 2009, and justifiably so, after the two costly wars former President Bush thrust the U.S. into in the early 2000s. And certainly in certain contexts, isolationism can be an overarching framework that helps shape a country's foreign policy decisions - one has to look no further than the United States leading up to the Second World War, after World War I left such an awful taste in its mouth. However, President Obama has not used isolationism as his foreign policy framework; rather, he has no framework. And as his tenure as Commander in Chief winds down over the next few years, it's that very lack of framework that will come to haunt his legacy, and possibly set the global political arena on a path the United States will wish it had avoided. Two days into the Egyptian presidential elections, voter turnout is so low that Prime Minister Ibrahim Mehleb declared today a national holiday. Voter enthusiasm is wan, dissidents have been locked up in the tens of thousands, and no one seems to doubt what the outcome of this “election” will be. Former Defense Minister Abdel al-Sisi will almost certainly emerge victorious, both because he controls the state-run propaganda machine of the media, and because he has locked up, tortured, or disappeared all those who would be powerful enough to stand against him. In the seventh vote or referendum since Egypt’s revolution of 2011, it appears that the country is no closer to democracy than when it began the process of casting off authoritarian rule. Al-Sisi’s only opponent in the election is left-wing Nasserist Hamdeen Sabahi. Sabahi ran in the 2012 presidential elections and came in third, but is viewed as mere window dressing to give the elections the air of democracy. Even though Sabahi’s chances of victory are next to nothing, campaign workers have nonetheless reported being blocked from polling stations, and prominent lawyer Ahmed Hanafi Abu Zaid was brutally beaten and arrested in a dispute with another campaign worker. It's been a long year so far for Thailand, where early this morning, the Thai military came over the airwaves to announce they had taken control of the government and were suspending the constitution. This came just two days after their announcement of martial law, which many saw as the harbinger of an inevitable coup. Now, media is being censored, a curfew has been put in place, and government officials have been shuttled to a camp set up to hold them while the unrest persists. Today's coup has been a long time coming. The last successful coup in the country occurred in 2006, when populist billionaire Prime Minister Thaksin Shinawatra was overthrown by the military, who then dissolved parliament, and hastily rewrote the constitution after installing a new interim government it found to be more favorable. 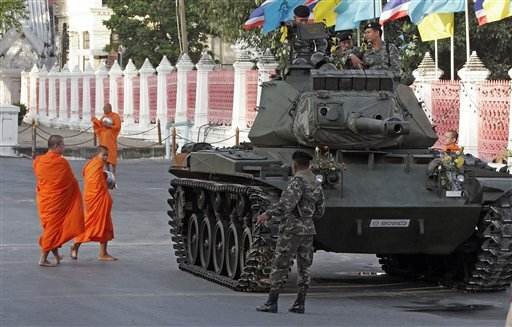 The backlash against the 2006 coup from across the country came to a boiling point in 2010, when deadly clashes between civilians and security forces took place in Bangkok. Mr. Shinawatra had built up a large support group, primarily in the rural north of Thailand, and his disposal from government was the catalyst for significant unrest for years. Several governments revolved through the leadership during this time, many of which were mired in corruption scandals, prosecutions, and other serious governing problems. "Conquerors, my son, consider as true history only what they have themselves fabricated." Today commemorates an important and tragic date on the Palestinian calendar: the anniversary of the ‘nakba’ (Arabic for “catastrophe” or “disaster") of 1948, when hundreds of thousands of Palestinians were forced from their homes or fled for fear of violence at the hands of the Israeli army. 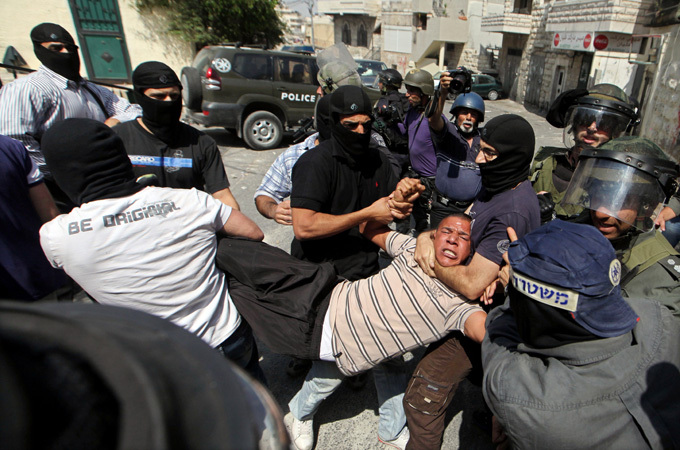 The 5.3 million Palestinian refugees worldwide are the modern-day descendants of the victims of the nakba. Like so many sad chapters in the histories of powerful countries, outside of Arab communities the nakba is not widely recognized or reported upon. Over 700,000 Palestinians fled in the nakba of 1948, the forebears of the huge community of Palestinian refugees scattered throughout the world today. While in the initial decades after the events of 1948, only a small number of internally displaced Arab Israelis commemorated the nakba, now it has become a political symbol of the destruction of the Palestinian community and is observed throughout the occupied territories, the West Bank and the Gaza Strip. 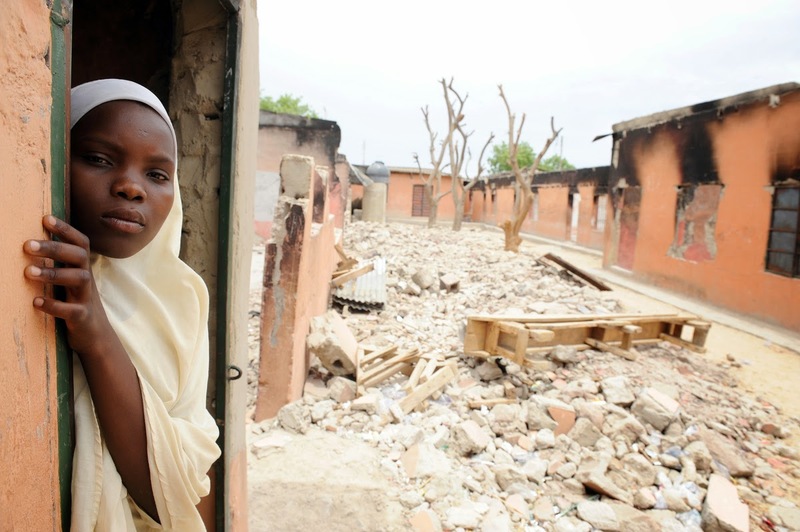 Boko Haram: The Bad Apples of...the Bad Apples? Two weeks ago, my colleague Vicky wrote about the atrocity still unfolding in northern Nigeria, where the Islamic militant group Boko Haram stormed a school several weeks ago and abducted over 200 schoolgirls. 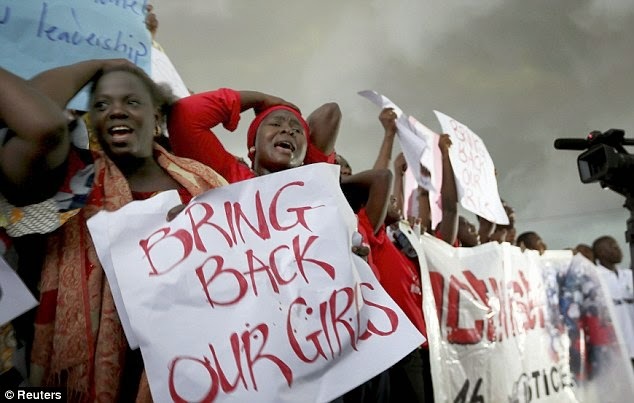 The days and weeks following the abduction were consumed by conflicted stories in the media, confusion on the part of the Nigerian government in their response, and above all, questions left unanswered - the number of girls abducted, the location of the abducted girls, and the intentions of Boko Haram. Nigerian activist protestors finally brought the abduction to the world news stage, and now, over three weeks later, it appears an active search is underway. Boko Haram has engaged in violent activity dating back at least to 2009, but it seems this most recent event has finally brought them the attention they probably should have been receiving since then. There are umpteen terrorist cells located in every corner of the world, carrying out attacks on locals and abroad, and this is not to mention the transnational crime families that also plague various regions with horrific violence and terror. However, Boko Haram is showing itself to be one of the worst, if not the absolute worst of these organizations, due to their absolute indifference when it comes to their targets and the particular gruesomeness of their acts. In fact, their track record of late speaks for itself: it was reported today that Boko Haram militants leveled another village this week, reportedly killing at least 336 individuals. The recent attacks were so awful that even al Qaeda denounced them. Jihadists around the world took to the internet to condemn Boko Haram in the aftermath of the schoolgirl abductions. While al Qaeda's own agenda is deplorable, they have shied away from allying with Boko Haram recently, as the senseless violence on innocent civilians they inflict detracts from the alleged overarching framework al Qaeda's mission falls under. Boko Haram has in the past stated outright that their intention is to highlight how weak the Nigerian state is, and portray themselves as stronger. 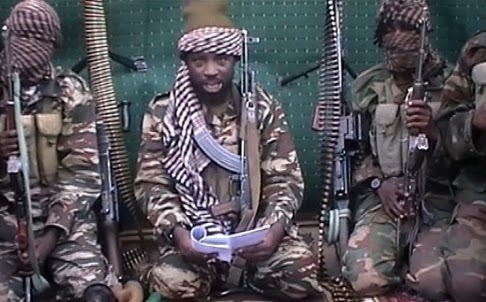 Perhaps the most alarming aspect of Boko Haram is its leader, Abubakar Shekau. Not much is known about Shekau, except for the fact that he took over after the founder of Boko Haram, Mohamed Yusuf, was killed in an attack in 2009. Mr. Shekau has proclaimed himself to be in direct communication with God, and is open about his desire to kill as often and in as great of a magnitude as he can. In a recent video in which Shekau announced his intention to sell the abducted schoolgirls on the open market, he appeared under the influence of drugs, speaking and moving erratically and laughing maniacally. He has often been described as actually enjoying violence. While Boko Haram has been on the collective radar of the West for years, it is unclear how much has been done to mitigate their impact in Nigeria. Certainly, Nigerian's President, Jonathan Goodluck, has not done enough, although he speaks frequently about the dangers of the group. But what with the recent abduction of the schoolgirls, and the violence inflicted so openly and on such a mass scale this week, it would be hard to imagine the international community not taking greater notice. In the world of frightening organizations with a propensity to kill and terrorize, it appears we have finally crowned the group most frightening. As India's month-long election season comes to a close, it is becoming increasingly apparent that the Bharatiya Janata Party (BJP) and its Prime Minsterial candidate, Narendra Modi, will assume a significantly larger role in Indian politics. 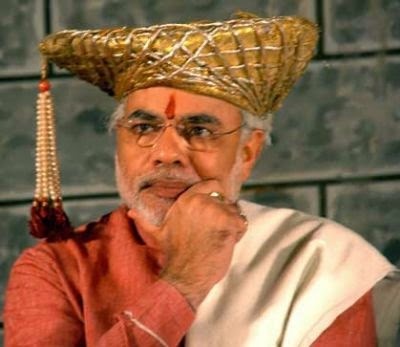 Several weeks ago, I talked about the elections and about Modi, who I personally see as a good catalyst for change in a country that has in recent years suffered from severe infrastructural problems, a lagging economy, and myriad other issues. Once seen as a cornerstone of the BRIC nations and a rising power in the global arena, India certainly needs a forward-thinking leader who will focus more on these problems while also weeding out political corruption that has hindered improvements in the past. Modi could absolutely be that leader. The election season has brought to light other unpleasantries, though, and raised questions about India's future that have been pushed out of view by these more glaring problems - most notably its immigrant population and the unrest that stems from it. In the past week, there have been at least 31 deaths due to sectarian violence that has almost directly been caused by the elections. Over the weekend, nine more deaths were reported in the northeastern region of Assam. The unifying factor in these deaths is that the majority of the victims are Muslim, a pattern that may not bode well for Modi. India is an incredibly fractured country, comprised of 28 different states, seven union territories, and where there are currently 22 different official languages (and many, many others that are spoken in various regions). However, just about 80% of the 1.2 billion citizens practice the hindu religion, somewhat of a uniting quality. And the issue of Hindu-Muslim tensions has existed since the establishment of the country itself. Narendra Modi has come out in support of sending illegal immigrants back to their respective countries, suggesting that illegals from Bangladesh should "have their bags packed" should he be elected. This is not something unique to India - here in the U.S. lawmakers have grappled with immigration policy for decades. And on the surface it does seem reasonable. Further, given the fact that many of the immigrants coming west from Pakistan and east from Bangladesh are Muslim, perhaps cracking down in illegal immigration will help stanch the hostility towards Muslims who are legal Indian citizens. However, Modi has an interesting history when it comes towards the issue. He was the head of the state of Gujarat, a northwestern state bordering Pakistan, in 2002, when over 1,000 people were killed in an ethnic cleansing of Muslims that took place in the region. Since then, he has been widely criticized for his handling of the situation, in which very little seems to have been done on the part of the government. That legacy follows him to this very day, as he approaches election, and could seriously hinder his ability to adequately address what is not just an issue in Gujarat, but all over India. I am still very supportive of Modi, and, to a greater extent, the progressive BJP party on whose slate he is running. However, it is apparent that there is no perfect answer to India's problems. 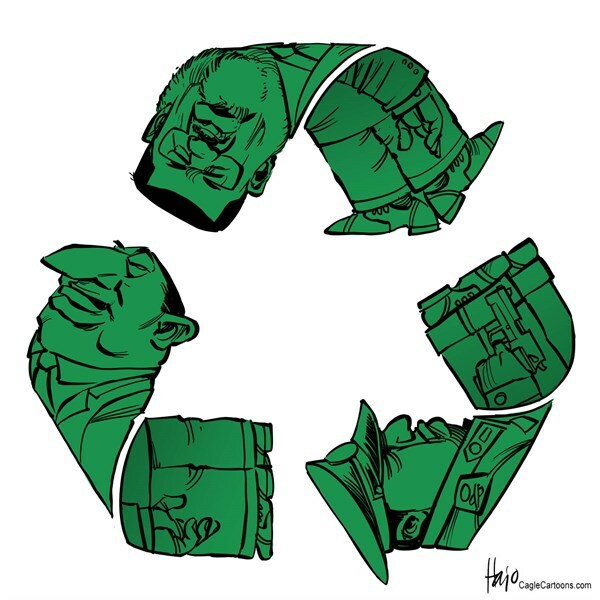 Ameliorating economic malaise and hampering political corruption works so long as it does not take the center stage and leave other equally important issues on the back burner. Modi - and the BJP - must work hard to ensure that equality and tolerance are pervasive throughout the culture if they expect to see any other aspect more forward-thinking agenda become reality. A girl looks out from her bombed school. For two weeks now, the residents of Chibok in northern Nigeria have been living every parent’s worst nightmare. On April 14, over 200 girls were kidnapped from a boarding school in Chibok, likely by the militants of Boko Haram, an extremist Islamist group that has been terrorizing Nigeria since 2009. While schools including that of the girls were closed recently due to militant attacks, the students had returned to sit for their final exams. Around midnight on April 14, militants stormed the student dorm and carried away the approximately 234 female students on motorbikes and trucks. They are now reportedly held in nearby Sambisa Forest, a 60 square kilometer area that has become a stronghold of Boko Haram.